Hi lovely readers! 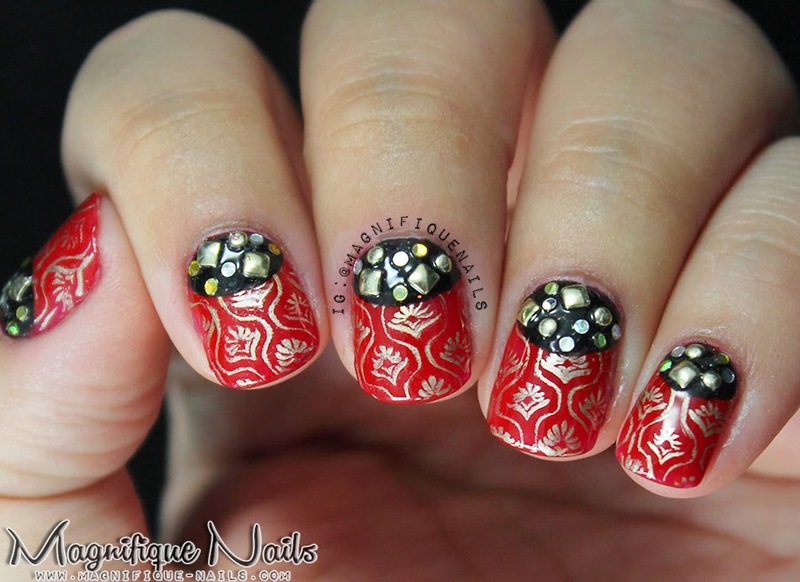 It's that time again for my next Alphabet Nail Art Challenge: R for Red nails. 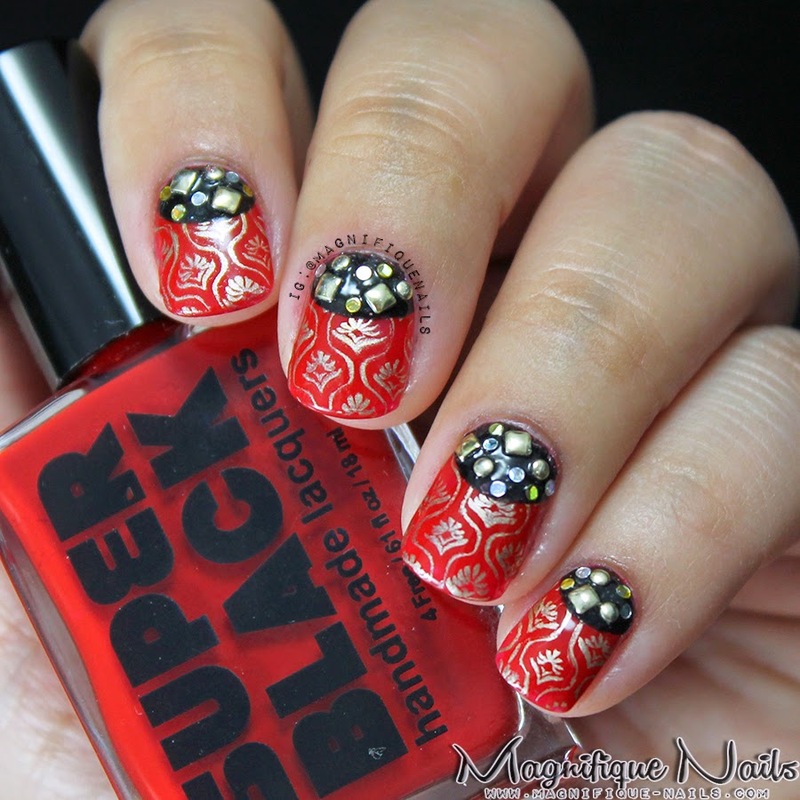 Recently I reviewed nail stamping plate from Born Pretty Store. Which I fell for and thought to use it again for my next nail art challenge. For the base applied two coat of Super Black's Cannibal. This is a gorgeous red color with a super smooth formula. Love it! Once the base dries (which is very important, since I can be very impatient sometimes) applied small amount of Essie's Good as Gold on the stamping plate. 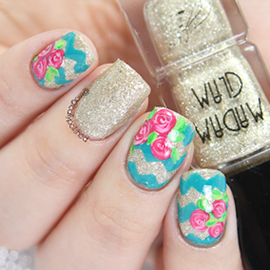 Once I had that done I added the patterns on each nail. Stamping can be very tricky sometimes. I believe I had to restart the design all over again. However, it's soo worth the hard work when you see the finished design. For the half moon, I used Super Black's Blitz. Which I drew using a liner nail art brush. I also wanted to accent the nails with studs and gold and sliver glitters, which you can purchase in Born Pretty Store or in Nail Art Queen. Lastly, I then sealed the design with Duri- Super Fast Dry Through Top Coat, that's it!